Click on it and you will be prompted for a password. Please contact me if you experience any issues. for all the wonderful photos of the Reunion weekend !! Before 2016 is completely past our memory there is one very important, very enjoyable,and special thank you I need to make. To the Ursuline Class of 1966, than...k you for a most spectacular "50th" Reunion Weekend. I put this off as long as I could because there were so many who worked to make the reunion a success by working on committees, or by attending after traveling great distances, or by making great sacrifices of time and money. that I was afraid I might miss thanking someone and make them feel slighted. (Yes I know that was a "run-on" sentence.) It is, however important that I make a few acknowledgements . Nick Srnec, you did an outstanding job of setting the "Class of 66" web page(have I got that right, I'm not real good with the computer, and I can type only with my left hand...but I digress......), thanks Nick. George Guarnieri, at great personal sacrifice made "The Fifth Floor" available for the Fri. evening mixer (wow),and the Sun.morning brunch, thanks George. Mickey and Kathy Cronin Conway, for keeping me informed and making all of the arrangements, thank you. To John D'Urso and his lovely wife for driving me to the Friday mixer, and to Matt Giambattista for taking me home after the mixer(very, very late....sorry Matt), thank you. On June 28th, I turned 80, on July 11th, I had open heart surgery(everything went well), and your reunion in Aug. was the first time I could attend events outside of my home, so it was special. Thanks to all of you at the Saturday dinner.....I tried to talk with as many as possible sorry Joe( Gilberto)we didn't get to talk more....but I was getting very tired and my wife took me home. I couldn't make the Mass or brunch....I was exhausted....but very happy. 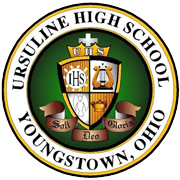 Please understand that all of you that I taught or had contact with, ALL the years at Ursuline are special, but the "Class of 66" was unique. When you were Freshmen was my first year also. I had a Freshman homeroom and taught you in Gen. Sci. . When you were Sophomores I had a Sophomore homeroom, taught you in Bio., and was Sophomore Class Adviseor. When you were Juniors.Mr. Beck and I were co-chairmen for the prom. When you Seniors I had a Senior homeroom,and taught you in Sen Sci.. You went on to the university (Y.U....Y..S.U. ), and I followed, with many associations there. We started together; we've grown up together; and we will grow old together......but at 80, I'm going to grow older much faster. What great years they have been. It is the journey, not the final destination that is "golden" and most remembered. Thank all of you for a great trip, a great journey and a great life.I will post this. Please forward to as many classmates as possible.Nick if you could "magically" get this on the U.H.S.Class of 66 web page I would appreciate the help. No, I don't have a copy, sorry Nick. Thanks again to all. Mr.U. (John).